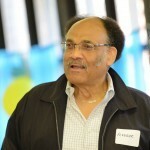 What do you get when you mobilize the talent and expertise of workers 50+ to fill gaps in non-profit and government agencies, to fight poverty, to help navigate the health care system, to mentor and support our vulnerable young people? ReServe is an idea whose time has come!! With ten thousand people turning 65 every day in this country –the pool of amazing talent is endless!! ReServe matches this talent with the expressed needs of government and social services agencies to help fill critical gaps such as support for Strategic Planning, foundation outreach, administrative support, event planning, IT administration, and so much more. ReServists, age 50+, hit the ground running and bring to organizations a tremendous work ethic, a “no-drama” attitude, and an amazing wealth of problem solving experience. We invite you to contact us for more information, to read through our testimonials on our website and to explore the stories of impact. ReServists bring their professional expertise to work on part-time service projects in exchange for a modest, hourly stipend. They want to work. They are committed to improving the life of their communities. They model balance and social entrepreneurship. And, they are an expert pool for sourcing affordable talent. ReServe is supported by private and public grants and individual donations. 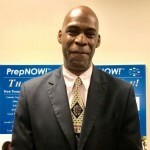 Darrell Osborne, Reservist: Success Mentor Trainer, PrepNOW!